China is proposing to the Association of Southeast Asian Nations that the two sides hold regular joint military exercises in the South China Sea, according to an ASEAN diplomatic source. The proposal is being floated by Beijing for possible inclusion in a draft code of conduct to avoid conflict in the disputed waters, which is being negotiated between the two sides, the source said. China has also proposed to ASEAN that the two sides commit to not hold joint military exercises in the South China Sea with any countries from outside the region without prior notice or agreement. That proposal was likely made with the United States in mind. The proposals -- part of a summary of opinions of each country involved in the negotiations -- were revealed just weeks after China and ASEAN member states held a maritime exercise in Singapore, focusing on cooperation in times of safety-related sea incidents. The ASEAN-China Maritime Exercise, initially proposed by China, was held Aug. 2-3 in the form of a tabletop exercise at Singapore's Changi Naval Base that brought together more than 40 naval and other military officers from the 11 countries. 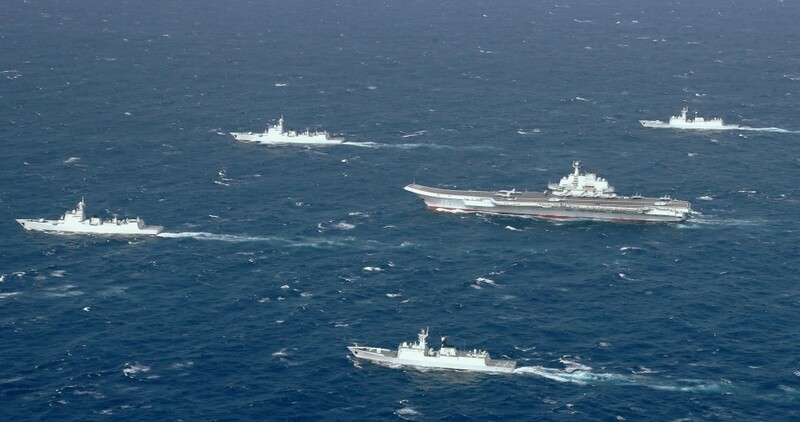 It will be followed with actual drills at sea in waters near China in October. China claims sovereignty over almost the entire South China Sea where ASEAN members Brunei, Malaysia, the Philippines and Vietnam also have claims. The Permanent Court of Arbitration in The Hague ruled in July 2016 that China's claims have no legal basis. China continues to reject the arbitration award. It has been criticized for constructing and fortifying artificial islands. ASEAN also includes Cambodia, Indonesia, Laos, Myanmar, Singapore and Thailand.